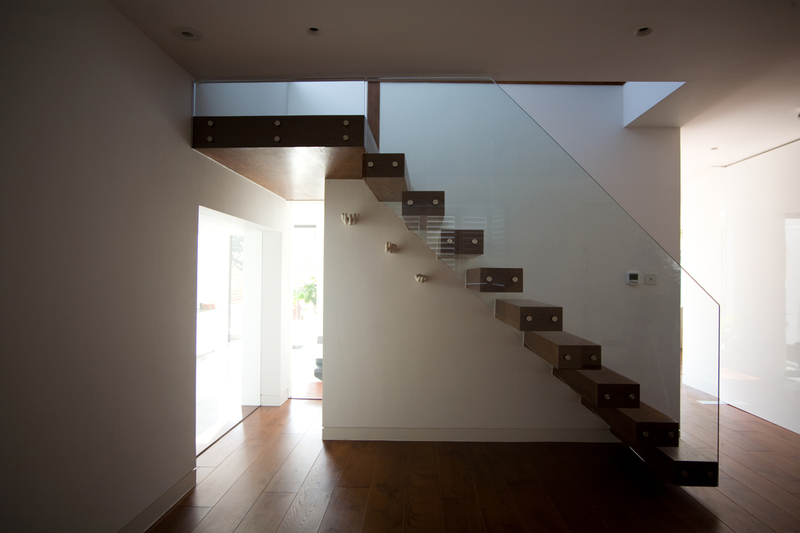 We remodelled this 1930s house for a family with two children in West London. 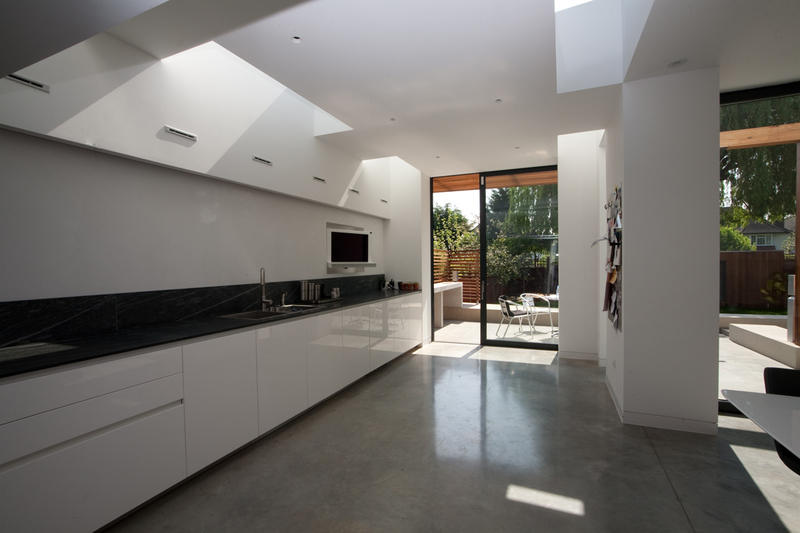 We reconfigured a series of small and disconnected rooms to create a flexible family space with changes in floor level, natural light and thoughtfully designed joinery. 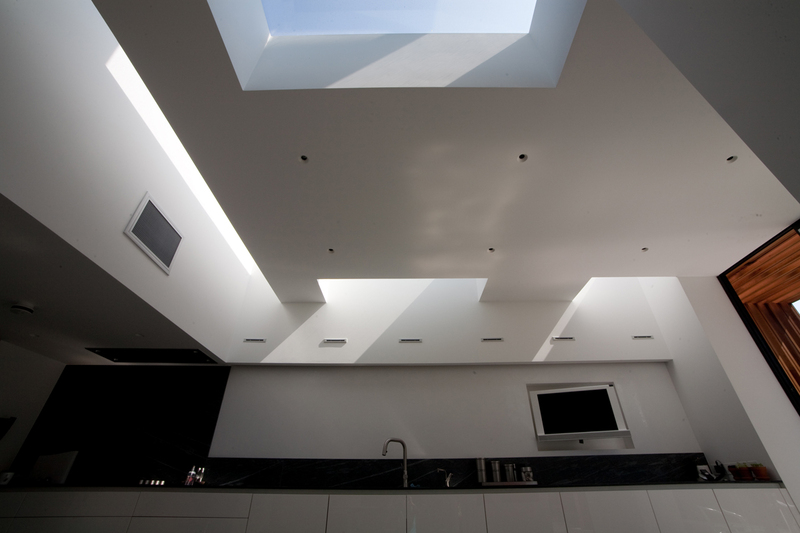 Roof lights and external openings provide natural light and connections to the garden; concealed sliding screens ensure privacy when required.